If you are looking for a theme park in Korea that offers entertainment as well as adventure, I recommend the Lotte World. 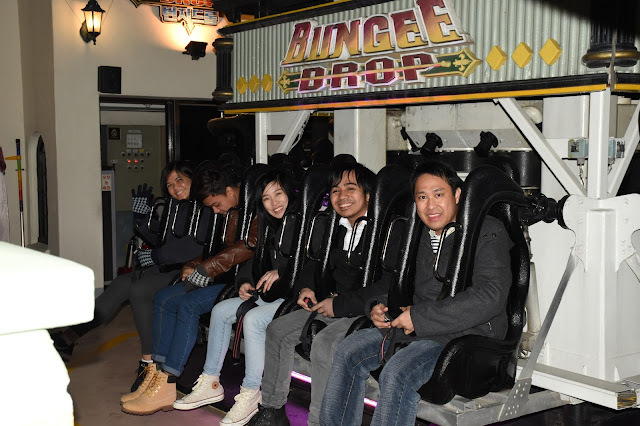 I must say it’s an awesome venue to bring your family and friends because this is a perfect spot for sightseeing and to enjoy thrilling rides. Although Korea has a lot of theme parks, Lotte World is one of a kind because aside from the rides, parade and other entertaining activities, you can just go there to enjoy the view because it is located right next to Seokchon Lake, hence making it appear even more magical and interesting. 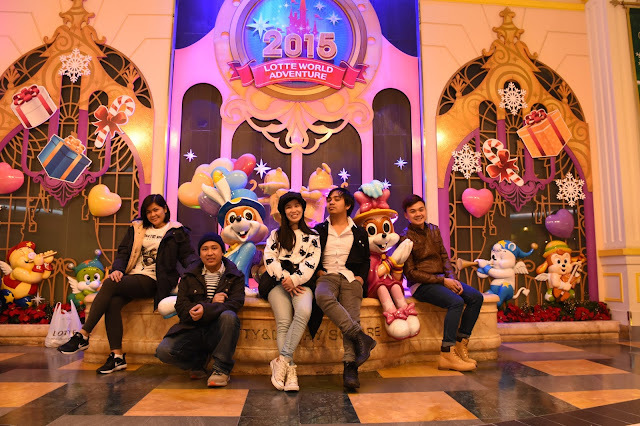 I can’t say it’s the best theme park in Korea, but generally, I like the ambiance of Lotte World. What I like most about Lotte World is the different kind of parades they exhibit inside the park. 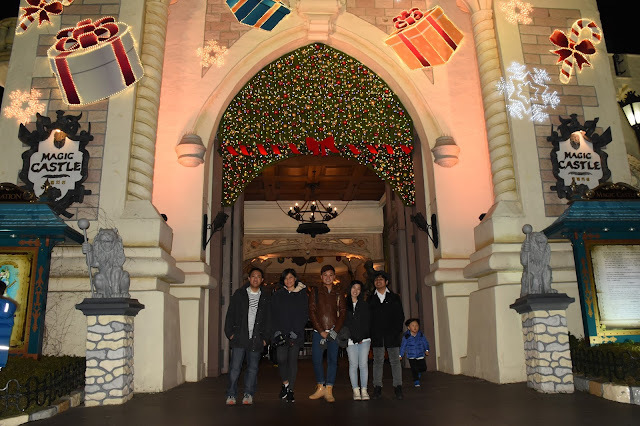 Me and my friends were lucky enough to visit this theme park in December, this is of course courtesy of KEB-Hana Bank of Korea who gave us free tickets to enjoy Lotte World. We enjoyed the Christmas parade so much because it reminds us of the most celebrated holiday of the year which is Christmas. In Korea, you can only see and experience Christmas when you go out to major cities and markets and malls. Seldom can you see people decorate their houses with Christmas ornaments. 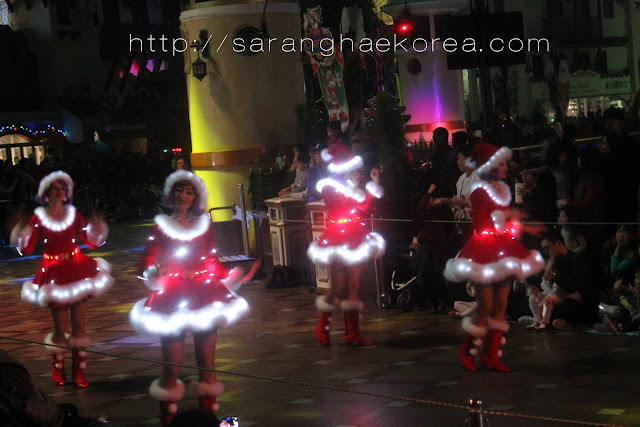 But at Lotte World, we have witnessed how they spread the Christmas spirit to all the people inside the theme park. The Christmas parade was so colorful and entertaining, plus the Christmas music and characters were all jovial enough to make the ambiance festive and jolly inside the biggest indoor theme park in the world. 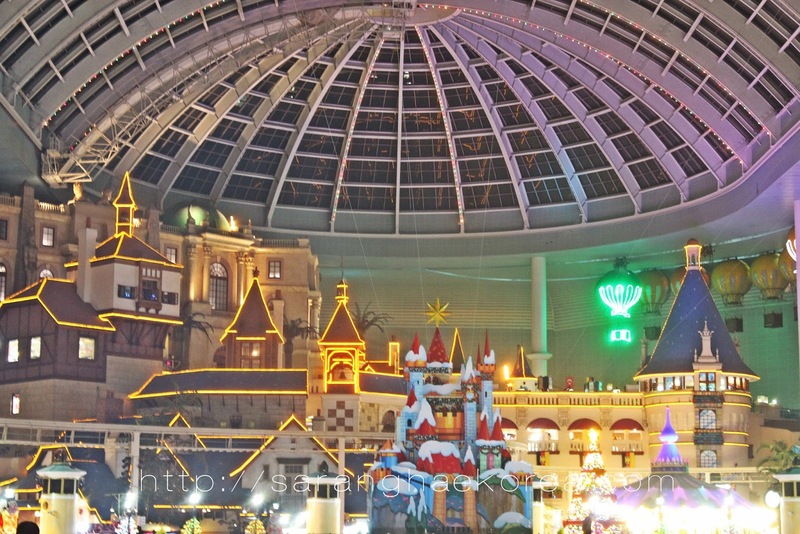 So why is it considered the world’s biggest indoor theme park? Well, aside from the fact that it can accommodate different parades in every season like the Christmas Parade in December, it has also a concert stage. Yes, a concert stage inside a theme park. In fact, we went to watch the concert first before doing anything. The Indoor adventure also includes 22 different rides like the World Monorail, Camelot Carousel, French Revolution and a lot more. Not only that, there’s a connecting passageway to the second floor that will lead you to the Outdoor adventure where you can see the Magic island, an artificial island that is situated in the middle of the Seokchon Lake. Imagine this: A Magic castle in the center surrounded by the beautiful natural lake with different choices of rides all over the place. I don’t know about you, but I found it so overwhelming. 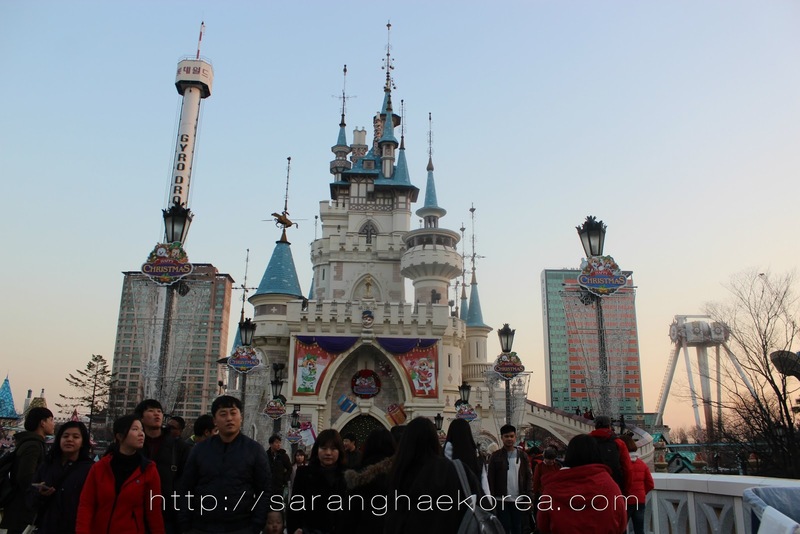 There are about 17 thrill rides at the Magic Island of Lotte World. We actually tried the Bungee Drop, it’s a smaller version of Gyro drop. We saw how people were thrilled at the high-altitude-free-fall Gyro Drop, so we just decided to try the smaller version of it, at least we were confident we can handle the Bungee Drop. 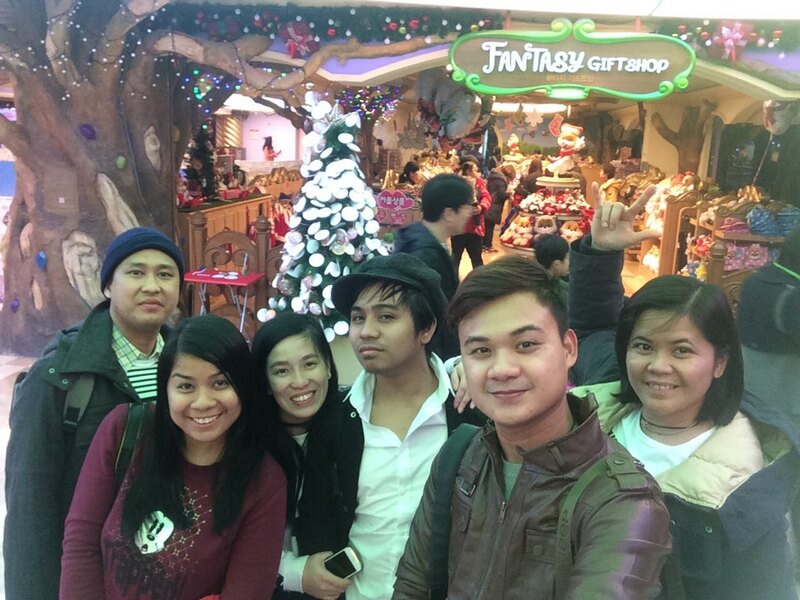 Since some of us were not really into thrill rides, we just enjoyed the Christmas ambiance of Lotte World. When it started to dark, the magic castle lit up. Oh no, actually, Christmas lights started to appear everywhere in the Magic Island. It was such a magical night for us indeed. It’s all good at Lotte World except that we found it difficult to buy food. While there are a lot of food stalls and restaurants inside the park, we found it hard to find a good one because they’re all scattered in the area. It would be pretty easier for people to choose and find something to eat if there’s an area where you can buy food, it’s just my two cents though. But from our experience, we wasted some time to go from one area to another just to find something to eat. Generally, the combination of the fun rides, the entertaining Christmas parade and the magical view of castles and lake made our visit at Lotte World memorable and fun.